The Corinthian Classic Yacht Regatta - presented by Officine Panerai - is less than a month away. 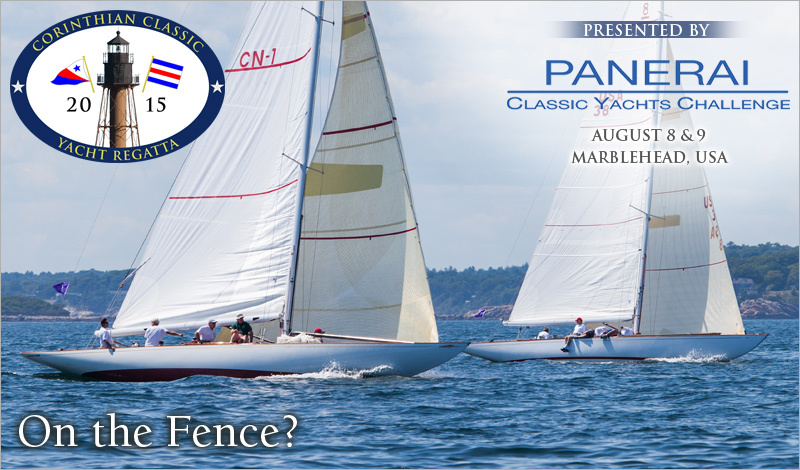 This year's Corinthian Classic will be held August 8 & 9 at Marblehead, USA and is open to any “Classic” vessel with a minimum waterline length of 22 feet. For those of you still "on the fence" about entering, we thought we'd give you some reasons to consider participating.